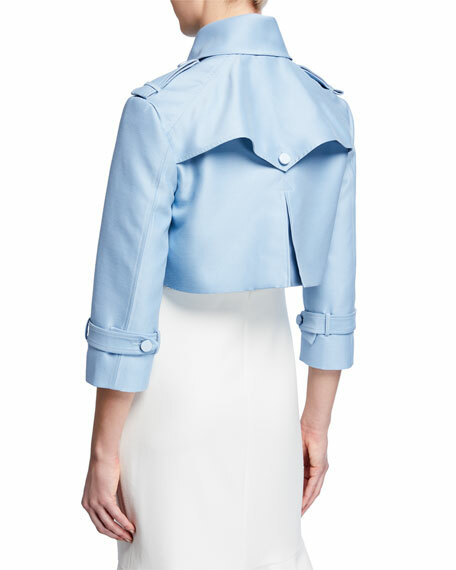 Atelier Caito for Herve Pierre jacket in twill. 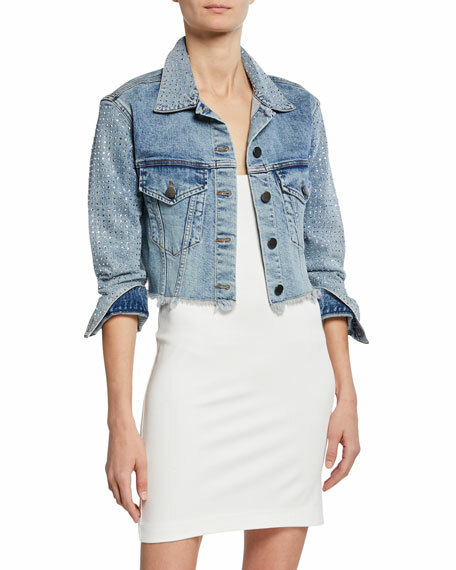 Alice + Olivia denim jacket with crystal embellishments at the collar and sleeves. Spread collar; button front. Long sleeves; button cuffs. Buttoned chest flap pockets. Semi-fitted silhouette. Cropped at waist. Frayed hem. Cotton. Imported. 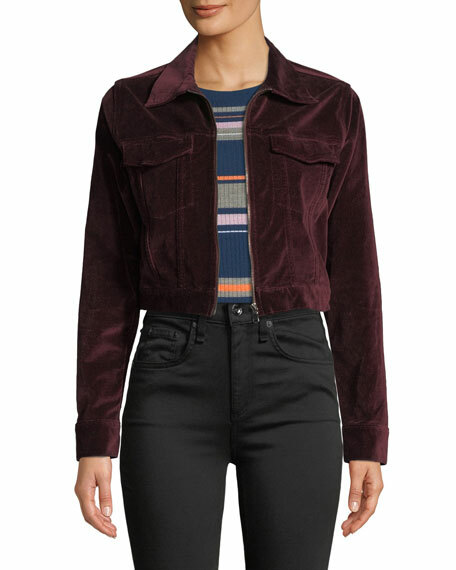 DL1961 Premium Denim "Clyde" velvet trucker jacket. Spread collar; zip front. Long sleeves; button cuffs. Chest flap pockets. Semi-fitted. Cropped length. Elasticized back hem. Cotton/rayon/Lycra spandex. Imported. 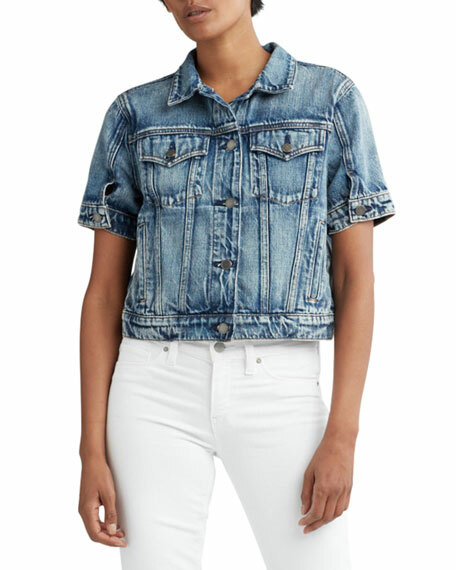 Hudson "Ruby Contour" denim jacket. Spread collar; button front. Short sleeves; button details. Chest flap pockets. Side slip pockets. Relaxed, boxy fit. Cropped hem. Cotton. Machine wash. Made in Mexico.